Over 760 unique items | 100 glaze colors! Where fun and art füze, Art Füzd Schaumburg is the perfect place to relax and be solo creative, join with friends in being creative, or meet new people during classes or workshops. We're Schaumburg's premier paint your own pottery and fired arts studio in Schaumburg, soon celebrating three years this July since opening July 4, 2016! See a few of the written reviews from guests of our social art studio. Join in on the fun! Just walk in and paint! We are family-owned ~ not a chain. Thank you for shopping small. We appreciate your support. Our name, Art Füzd (pronounced as "fuzed" or "fused", not "fuzzed"! ), didn't occur by happenstance. It happened after much thought and reflection. Ceramic glaze and ceramic bisque füze in the kiln, creating a beautiful life-long color-rich bond. 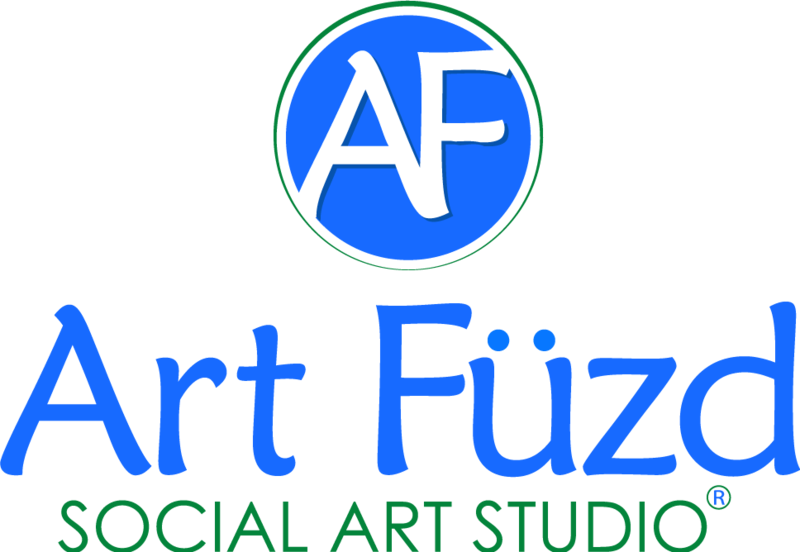 Likewise, the social art experience of people and art at our studio, the fusion of relationships, is what Art Füzd Social Art Studio is all about - Where Fun and Art Füze! Conveniently located within Schaumburg Plaza at 1457 W. Schaumburg Rd. and amongst an ice cream shoppe, a music academy school, a pizza shoppe, a mexican restaurant, a convenience store, a postal mailing center, two barber shops, a flower shop, a laundromat, a tanning salon, a running store, etc. ~ we're next to a State Farm office and steps from a Walgreens. Lots of parking mere steps from our door! We are handicap accessible with an open and airy loft-like spacious studio layout. You'll love Art Füzd! Celebrate the value of your locally owned non-franchise businesses! Please "Shop Small" whenever possible. As we reflect upon our journey in Schaumburg as your community social art studio -- you, our guests and the friendships being built, have made our long days fun and rewarding. For that we say -- Thank you! Please continue to support all small businesses like ours, not only on Small Business Saturday but throughout the year. Your business matters and providing a high-quality experience is the focus for small businesses like ours. Lots of Creativity Choices ~ Try them all! Social Art Parties ~ Schedule yours! Spacious loft-style studio, beautiful walk-in seating, ample parking mere steps from entrance, tremendous selection of pottery, lots of design tools available to use, and over 100 unique pottery glaze colors!